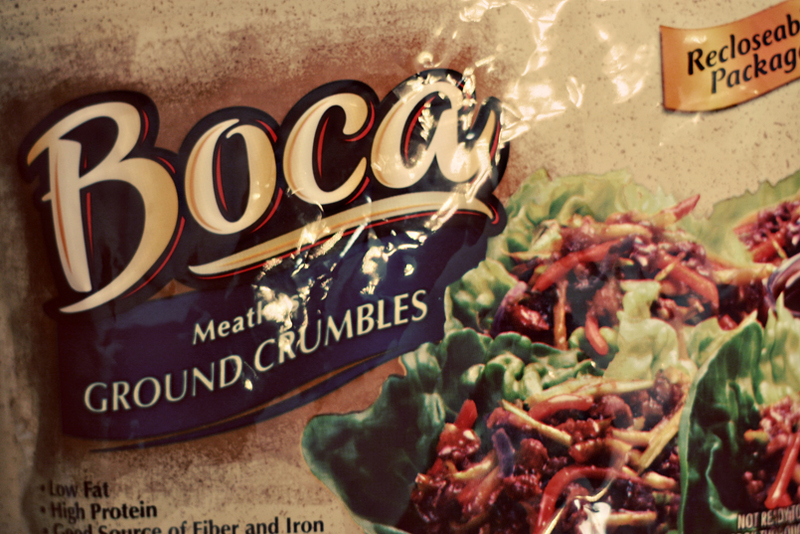 Now this post is a little controversial as to whether or not it is actually Daniel Fast approved. Here’s the thing, the veggie crumble has a tiny bit of sugar in it and also yeast extract (I’m not sure if that’s ok to have or not but I doubt it). That means that it’s technically not Daniel Fast approved. However, I decided before I did my fast that I was going to still eat veggie crumble because it would add some variety to my food choices and I really didn’t think it was a big deal that it had sugar in it. I’m sure some brands probably don’t have sugar but I couldn’t find one in our grocery store. Secondly, it’s questionable whether or not you’re allowed to have tortilla chips. 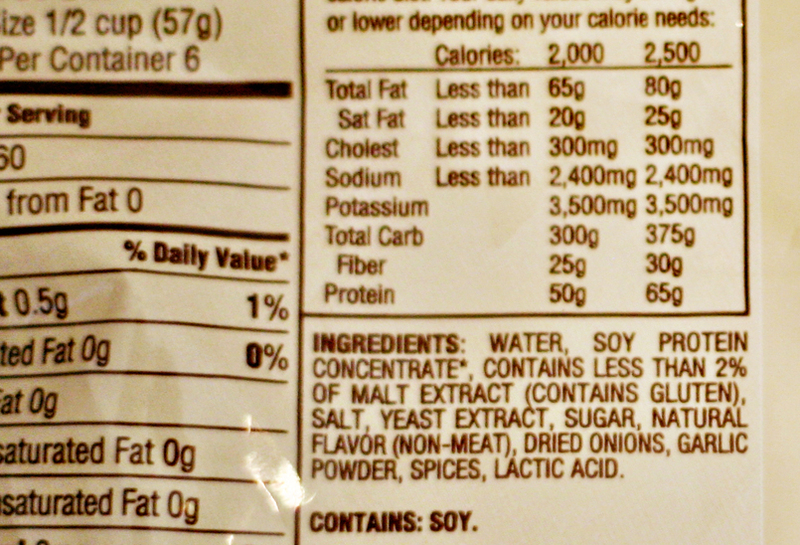 The ingredients in the chips I had are whole yellow corn, sunflower seed oil, and salt. All of those things are Daniel Fast approved items. However, some people say that you can’t have anything deep fried on the fast because Daniel gave up any “luxury” foods. This makes sense, you don’t need to be deep frying your veggies on the fast. I also don’t think the point of the fast is to find items like potato chips that have Daniel Fast approved ingredients and live off of those for 21 days. However, I decided that I would eat these tortilla chips on the fast and I didn’t feel that there was anything wrong with that. But that’s just me! I’ve done the fast before without eating veggie crumble and tortilla chips and it was fine too. All that to say, here’s Daniel Fast Taco Salad! This taco salad is really delicious and super quick and easy to make. It can be modified however you want. I used peppers, salsa, cucumbers, and veggie crumble as topping but you could add chopped tomatoes, lettuce, etc. Chop up the bell pepper into small matchstick pieces. Put the olive oil in a skillet on high heat. Add the peppers, maybe sprinkling on some cajun spices, or homemade taco spices. After the peppers are cooked (they should be softened and look blackened), add the crumble to the pan. Saute until the crumble is cooked, about a minute, and remove peppers and crumble from the pan. Place the them on a plate that has the tortilla chips spread out on it. Then add the chopped cucumbers and salsa. Enjoy! 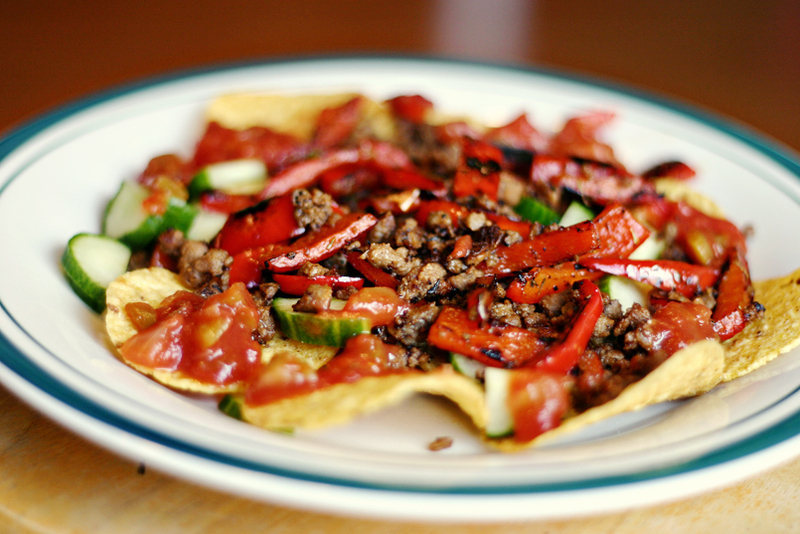 *Many salsas have sugar added to them. Make sure that you find one without. I used Tostitos brand medium heat salsa. Delicious! I shared this on Tasty Tuesdays!